Close to the ground a glimpse of orange and brown is seen. Then as quickly as it was seen the colour changes to silver. 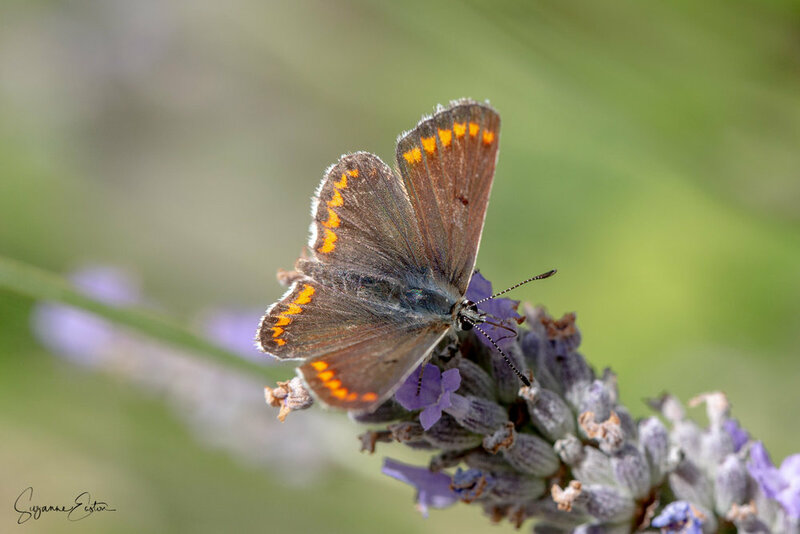 The light is playing off the wings of the tiny brown argus butterfly (Aricia agestis) as it flits around in the later autumn sunlight. This small butterfly (just 3cm at its largest) lives on chalk and limestone grasslands so I am not entirely sure how it found its way to a village garden! 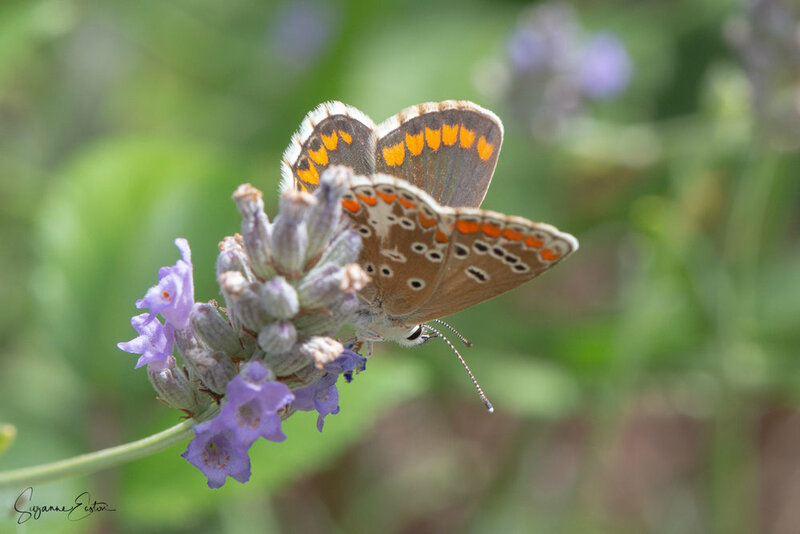 It is similar in appearance to the common blue butterfly when its wings are closed but as they open the difference becomes obvious. A pretty little butterfly when the colour is fading from the garden.